My Friends, it has happened. I have experienced an Epic Failure this month – I did not complete a book for our Alternate Histories challenge. 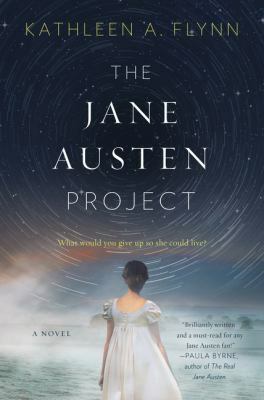 It’s not the fault of the book (The Jane Austen Project by Kathleen Flynn), it just wasn’t the right time for me to connect with it. Does that ever happen to you? Where the book just doesn’t work for you, even though you think it should? I have had this happen more than once; I often (although not always) return to the book later and everything clicks. So I’ll put this book on my TBR (to-be-read) list and try again another day. However! All is not lost – I did finish watching the first season of Outlander (from the Diana Gabaldon books) and enjoyed it so much that I’m going to continue to watch more seasons (two more are available on DVD; season four is currently airing). At the end of season one, Claire and Jamie have decided that they’re going to try to change history and therefore save the Scots. This is, of course, the great temptation of time travel – changing what went wrong. But what are the ripple effects of one change, even a small one? What is the cost and would it prevent the tragedy, or is it doomed to happen no matter what? Intriguing questions, if impossible to answer. What about you – what did you read that was intriguing and interesting? Or was this an epic fail for you too? Let us know in the comments! Oh, Ann! I consider your “epic failure” an actual success! Maybe that’s because my own choice for this month was to watch Outlander on DVD! And I’ve only completed Season One, Volume One, so you’ve actually one-upped me there! I guess I did read the first four Outlander books, though, back in the ’90’s. Also, my choice for January (Tudor/Rennaissance) was A Traveler in Time, a time travel book that toggled between the 1930’s and Elizabethan England (Mary Queen of Scots, actually). I have lots of excuses. Can you tell I was a pretty easy grader back when I taught school? !